The face of travel is changing every day and what is growing in popularity today is business travelers traveling for work, as well as pleasure- now known as bleisures. 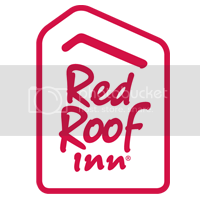 Red Roof Inn is the perfect choice for bleisures who are looking for affordable, upscale economy lodging across the country to accommodate their specific travel needs and interests. With the money they save by staying at a Red Roof, bleisures can spend it on more time for experiencing activities they love to do. Chicago– Chicago is a key business hub that welcomes millions of domestic and international business travelers all year round. Red Roof Inn Chicago Downtown – Magnificent Mile is conveniently located on the Magnificent Mile and is close to many business and fun activities. With the money you save by staying at an affordable Red Roof, you can use it on watching a Chicago Cubs, the Bulls, or Chicago Fire game, watching a live concert at the United Center, enjoying music festivals, including the Chicago Blues Festival, sampling delicious Cuisines at many A-list restaurants or visiting 2016 Taste of Chicago. New York Tri-State Area– New York Tri-State Area is a magnet for international business travelers. Enjoy the city and get business done while staying at Red Roof PLUS+ Secaucus – Meadowlands – NYC. Enjoy leisure activities like watching a Broadway show, catching a NY Jets, Knicks, Mets or Nets game depending on the season, or strolling through Central Park, which is flanked by world-class museums including the Metropolitan Museum of Art. San Francisco– Tech entrepreneurs have officially taken over San Francisco, and that has turned the city into another popular business travel destination. Business travelers can relax and decompress while taking advantage of stays at the newly opened Red Roof PLUS+ San Francisco Airport. Enjoy sunsets at Fisherman’s Wharf with a wide selection of fresh seafood, especially during Dungeness crab season or head to Alcatraz to see the former, notorious prison.